Vocalise magazine, January 2019. Vocalise is the community magazine for St Pauls, Montpellier and St Werburghs in Bristol. The winter edition features a double-page spread of common faults and remedies identified by CHEESE surveys. St George and Redfield Voice, January 2019. A great overview of our work for the residents of St George and Redfield. Bristol 24/7, December 2018. 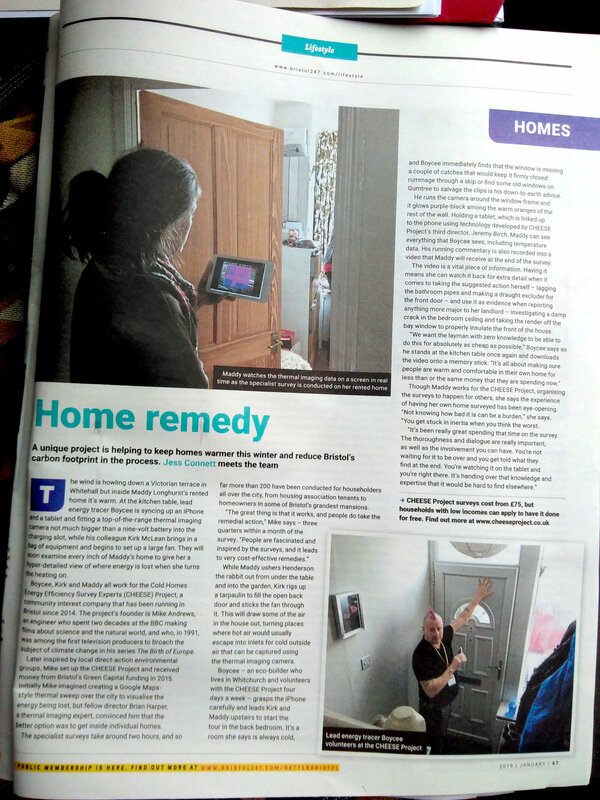 The New Year print edition of the Bristol 24/7 magazine features an article on CHEESE entitled Home remedy. It gives an overview of the project and describes how one of our surveys is conducted. This article was later published in January on the Bristol 24/7 webiste. Bristol Community Health News, April 2018. 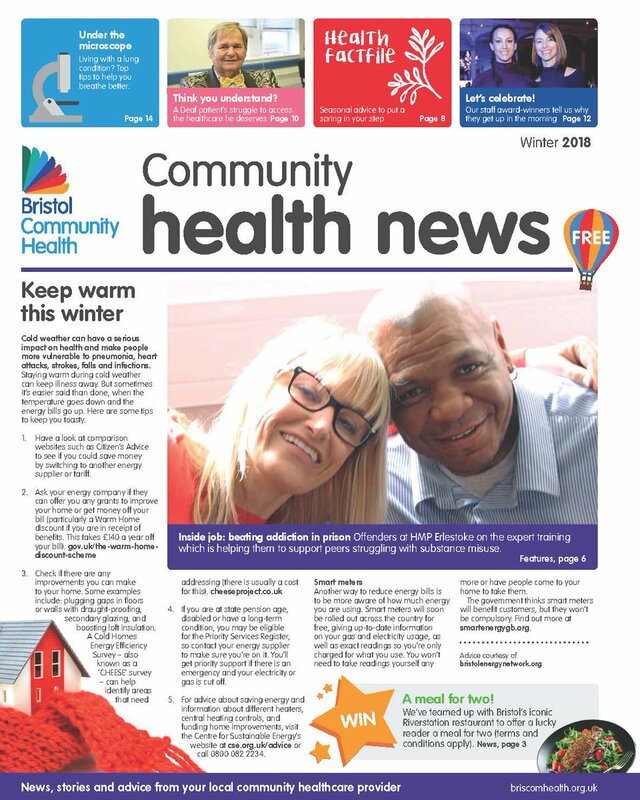 The 2018 winter edition of Bristol Community Health news provided some tips on keeping warm this winter. CHEESE is suggested as a way to identify improvements that can be made to a home. 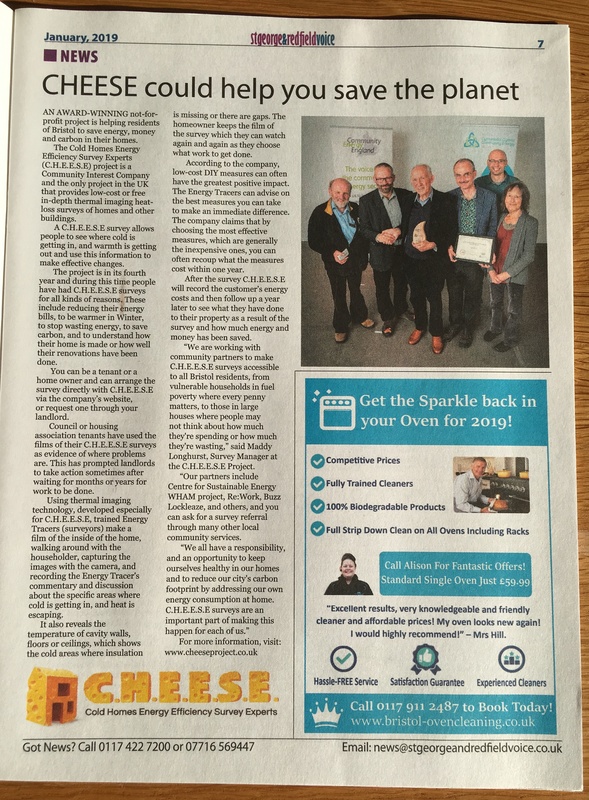 RCAS: A Visit from the CHEESE Team (PDF), December 2017. After his CHEESE survey, Peter Wilde of the Redland and Cotham Amenities Society wrote up a short piece in their magazine on the project and results of the survey of his Victorian house, concluding "We highly reccommend this approach which is a 'win-win' project"! BBC Future: The man who makes you see the invisible, June 2017. The article introduces Brian Harper's lifelong interest in thermal imaging and how his work in Malvern provided the basis for establishing the CHEESE project in Bristol. Bristol Cable: Plugging Bristol's energy gaps, January 2017. 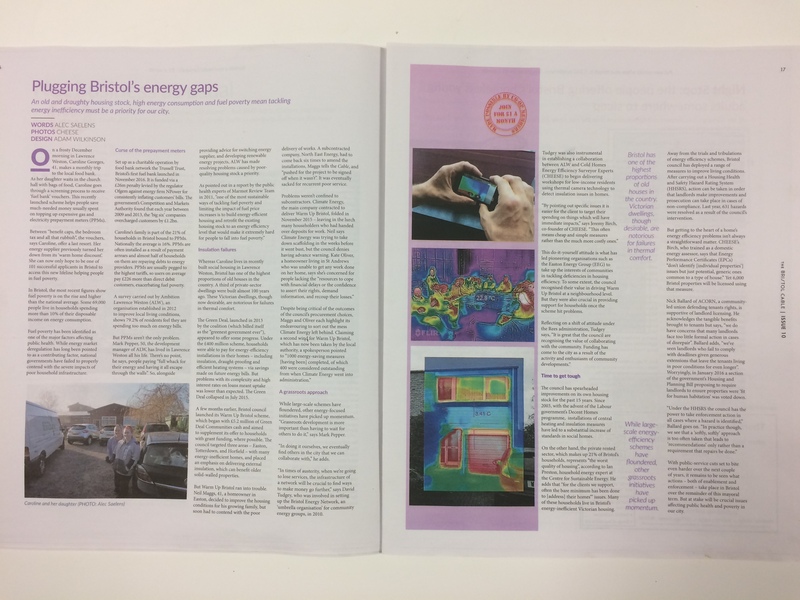 The article discusses the poor thermal efficiency of Bristol's housing stock and the growing problem of fuel poverty. CHEESE is discussed as a grassroots approach to tackling the problem. Radio Television Hong Kong documentary, July 2016. The CHEESE Project was approached by Radio Television Hong Kong (RTHK), the public broadcaster of Hong Kong. 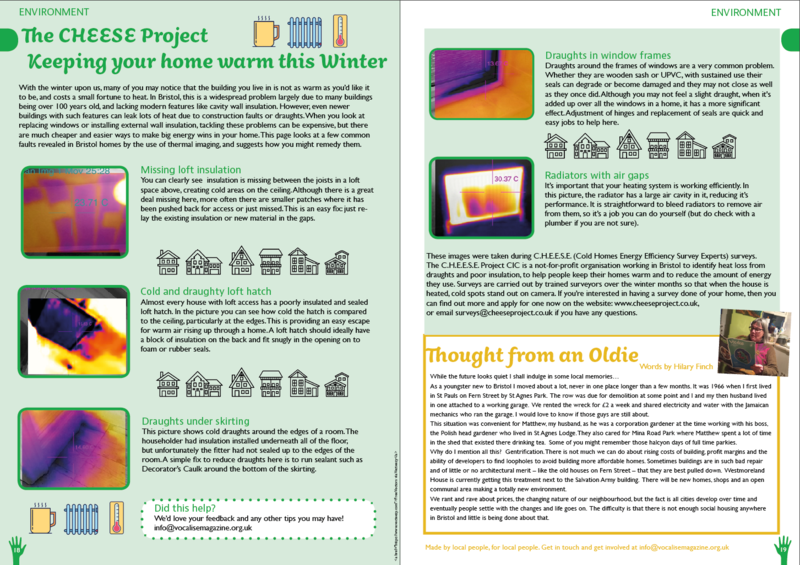 They were researching the potential for carbon reductions through energy-efficiency measures implemented in the home and wanted to find out more about our approach. They came and visited us in May and the documentary is now available to watch online via the above link. The part featuring CHEESE is in part two, at around 11 minutes and 36 seconds in.